I couldn’t even hear the clippers. I wasn’t deaf, I wasn’t distracted, it was just LOUD at Uptown Grille, the host for the St. Baldrick’s event. The place was packed for St. Patrick’s Day! I understand that several people made good use of the crowded bar to raise more funds for children’s cancer research. I arrived later than I wanted. I walked in feeling like a cross between Santa Claus (old with a white beard), Scrooge (grumpy), and Charlie Brown (a loser for falling far short of my goal of $1,000). The organizer, Emily MacBeth, had recruited a sizable team to manage everything. Between the registration desk, shavers, photographers, silent auction managers, there was a lot to do. In a word, it was overwhelming! Even though the volunteers had been there several hours, they were cheerful, welcoming, and grateful. I can’t count how many times I heard, “Thank you for doing this.” I left feeling lighter (how much does hair weigh? ), younger (no more white! ), and like I made a difference (I raised about $400). Will I do it again? I don’t know. It’s a worthy cause, but growing my beard wasn’t fun. I have a few months to think about it. Maybe there will be stubble again in January. Tomorrow afternoon people will be converging on Uptown Grille in Commerce Township for the 2010 St. Baldrick’s Foundation Fundraising event. It’s going to be a big deal, with head-shaving, a silent auction with some really great items, and a lot of fun. Come on out! I will be there in the evening. Even if you can’t come to the event, you can still contribute. Click the orange button to donate. Cancer is an ugly enough on its own. Children getting cancer is even sadder. If you want to find out how I look with half a head of hair, go to my donation page. When the total passes $1000 I will shave off half of my hair and beard, and leave it that way until the event at Uptown Grille on March 17. 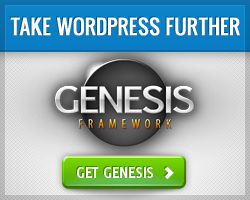 People often ask for recommendations for web hosting, themes, and other WordPress-related tools. I use the tools and services below.